Few of us sweat our heating bills in July. 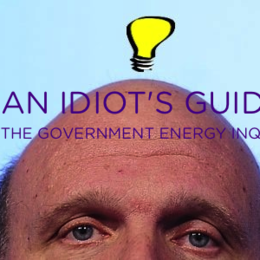 But as Britain rolled up its trouser leg for a barbecue summer, the government's competition watchdog (CMA) finally published its interim report on the energy industry. When government reports are issued, there is already a villain in the stocks facing the mob. The report's verdict determines whether that villain is released back into the community or whether the baying crowds can let fly with rotten veg. 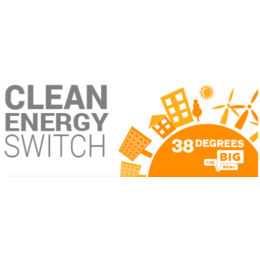 On Tuesday, Britain's Big Six energy companies were rubbing their wrists then pouring champagne down their freshly spared necks. There had been talk of breaking them up, by the former Energy Secretary no less. But instead they have got off largely scot-free. Despite the Competition and Markets Commission (CMA) finding the Big Six had overcharged the British public by £1.2 BILLION, the CMA found no evidence anti-competitive behaviour. It's our fault for being with these suppliers in the first place. So them overcharging us is fine, like biting off someone's hand if they're dumb enough to stick their finger in your mouth. Totally fair enough, right? Energy is a totally homogenous commodity - exactly the same whether supplied by British Gas or Dong Energy. For this identical product, the Big Six charge significantly more than smaller suppliers. And yet the Big Six still retain about 90% of the British energy market. That's right: despite charging more for a product which is identical to their rivals', the Big Six retain the lion's share of the market. No wonder people think competition has gone up the swanny. "If you're getting ripped off, you only have yourself to blame." "You should have switched by now" bellowed Britain's greatest economists. They could scarcely contain their bafflement at our lack of rational behaviour. Only in the detail of their report did they hint at the reasons why people are not switching. People don't trust comparison sites anymore! In fact, of people who don't switch, 43% "don't believe or trust comparison sites". And little wonder. People aren't stupid. Over the last year, comparison sites have thoroughly disgraced themselves. It turned out that these self-appointed consumer champions were actually hiding the best deals from consumers. They actually just wanted you to take the deals that earned them a kickback from suppliers. We broke that story in October 2014 in partnership with The Sun. That story got worse for comparison sites when, in February, we busted them lying to consumers on the phone for the exact same reason. "No mate, you don't want that cheap deal that doesn't get us paid, you want this more expensive one". That was a real scandal. And Westminster took notice. 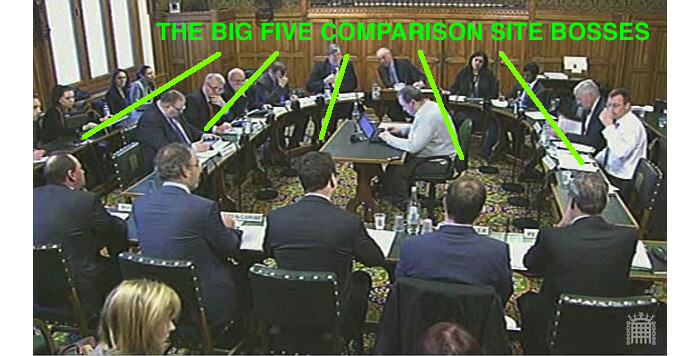 The Energy Select Committee summoned the Big Five comparison sites to the Houses of Parliament to explain themselves. Stretched out like frankfurters on a grill, their hapless bosses were barbecued by Tim Yeo MP. After a day-long humiliation, uSwitch announced it would be offering compensation to all consumers who had been misled. Everyone else pretty much hoped it would all blow over. Things got worse for uSwitch however. In June, Ofgem announced that they were investigating uSwitch and MoneySupermarket for price-fixing. That announcement saw the latter lose 10% of its share value in one day. Why such a dramatic reaction? Because that investigation could be the final nail in the coffin of comparison sites' reputations. How can you be a consumer champion if you deliberately conspire to elevate the price we pay? If you can't trust switching sites, switching levels will drop. That seems pretty simple. So the first priority for comparison sites must be to clean up their act. That is non-negotiable. Not only does their reputation depend on it; but all consumer intermediaries risk being tarred by the same brush. Many consumers are already seeking "alternative forms of third party intermediaries (TPIs), such as collective switching schemes." Of course, cough cough, we are one of those collective switching schemes. And we take pride in having saved our members from the worst rip-offs that the CMA have reported. Price comparison sites are no longer the only show in town. And that's just as well. These guys have been around for 15 years and still seen the energy industry referred to a government inquiry because prices are too high. The CMA should not blame consumers for the fact that price comparison has failed. They should look at how the price comparison sites have failed us. They should ask why for every person who switches regularly, there are three who have switched once and then given up. There is enormous scope for innovation in this sector. People like us are busting our arses trying to find new ways to bring fair prices to more consumers. The CMA - and Ofgem, the energy regulator - must allow us the space to deliver new services. And in the meantime, price comparison sites should get their house in order. Consumers need someone they can trust.